We were entertaining some out-of-state visitors a few weeks ago, showing them around Little Rock. 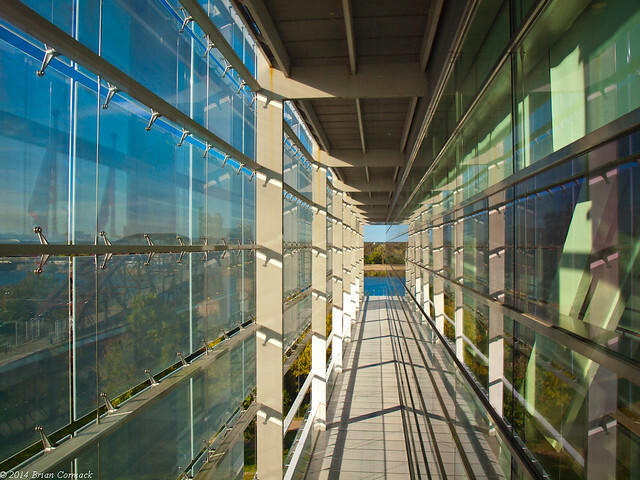 Which of course meant a visit to the Clinton Presidential Library, which just celebrated its tenth anniversary. I had only been inside the library once since it opened, so it was interesting to see how things have aged over the last few years. 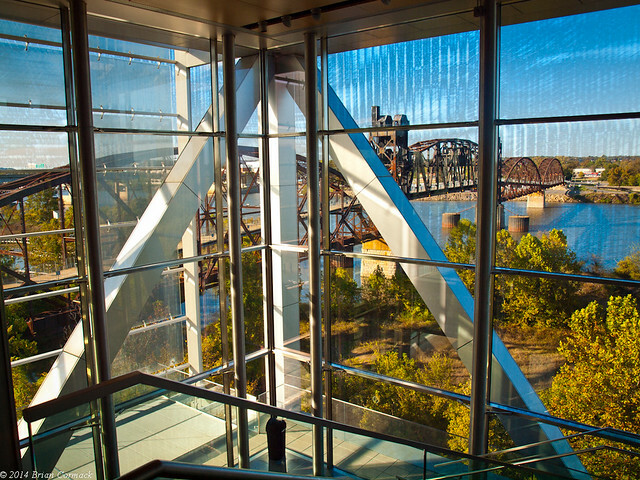 While a few people poked fun at the library's architecture when it opened, the inside still provides a great view of downtown and the Arkansas River. The sun was just about to rise above the mountains, so I headed over to Boxley Valley to try to get a few more pictures. 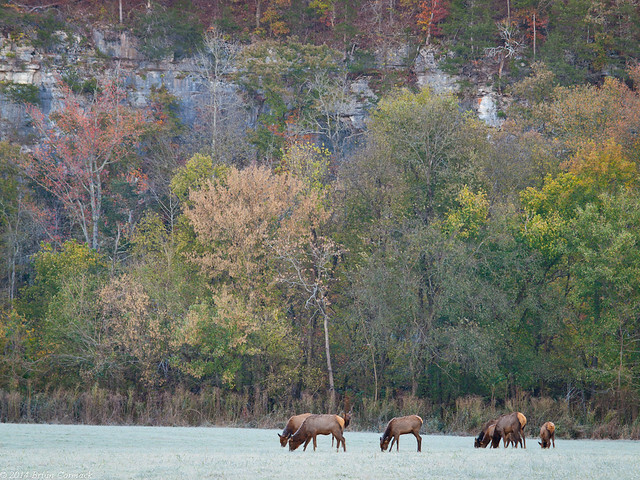 The road was lined with cars, as people were parked trying to get a good view of the elk herd that calls Boxley home. I usually don't stop here, but I pulled over to the side of the road this time. The field in which the elk were standing was white with frost. I joined the line of people elk gazing or taking pictures with lenses that were longer than my arm. I parked by this old barn, where a few cows were hanging out. 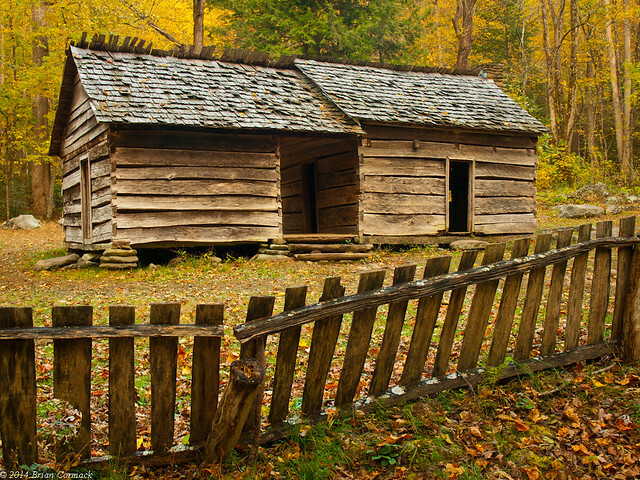 Boxley Valley is very similar to Cades Cove in the Smokies, where there is a great collection of old homes and barns that are over a century old. But in Boxley, the original residents were allowed to live and farm the land in the valley. 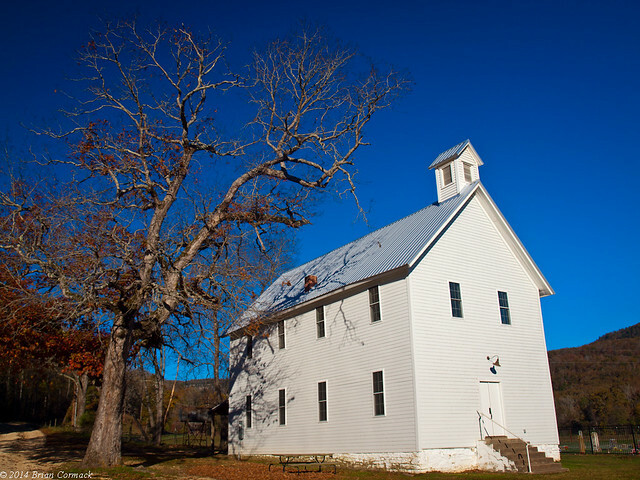 So places like the Baptist Church, which was built in the 1870s, are still being used. 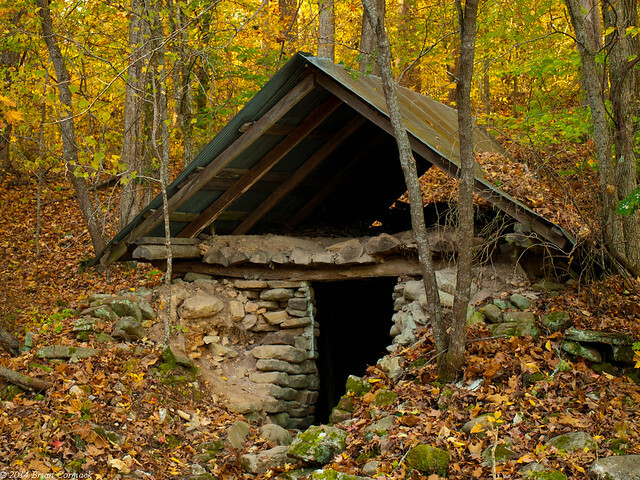 I think this is an old root cellar, which sits at what is now the start of the Buffalo River Trail. I tried to get a few more shots, but the light had gotten harsh. I love taking pictures in Boxley, it's such an amazing area. I finally ended up heading back home, sleepily making the 3 hour drive back to Little Rock. I was looking forward to getting back home to my loving wife, crazy dogs, and a bed where I could take a nice nap. 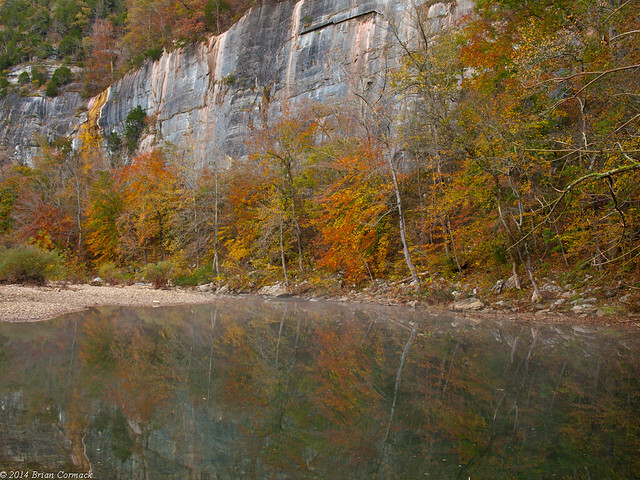 I wanted to make sure I got at least a few pictures of the Arkansas fall colors, so I decided to make a trip up to the Buffalo National River a few weeks back. The drive up there would hopefully coincide with the peak of fall colors in the Ozarks, which usually happens around the end of October. I didn't have that much time to spend up there, so I decided to hit one of the most consistently beautiful places on the river. My original plan was to head up Friday night after work and camp in the Steele Creek campground overnight. But that Friday night promised to be the first really cold night of the year, with temps dipping below freezing. It left a conundrum. I could leave after work Friday night, getting to the Buffalo River when it was dark and then shivering in the cold all night. Or, I could leave early in the morning and get there in time for the sunrise. It would mean not having to sleep in freezing temperatures, but it would involve leaving home at 3 AM. I decided to go for latter, intent on getting a little bit of sleep in a warm bed. It seemed like a good idea, except for our dogs. They decided it would be fun to wake me up every hour or so, just for fun it seems. I didn't get as much sleep as I wanted when the alarm clock went off. 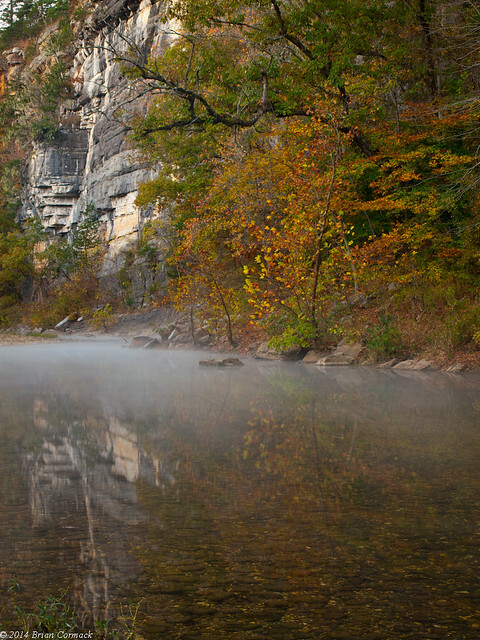 But I gathered the camera gear and got into the car, driving the three hours or so to the Buffalo River. I got there with plenty of time to spare, about 30 minutes before sunrise. I took a short nap in the car, as some of the people in the campground started to wake up and make campfires. It had gotten a bit chilly that night. As I sleepily got out of the car, I noticed a thin layer of frost coating other cars, trees and the grass in the campground. 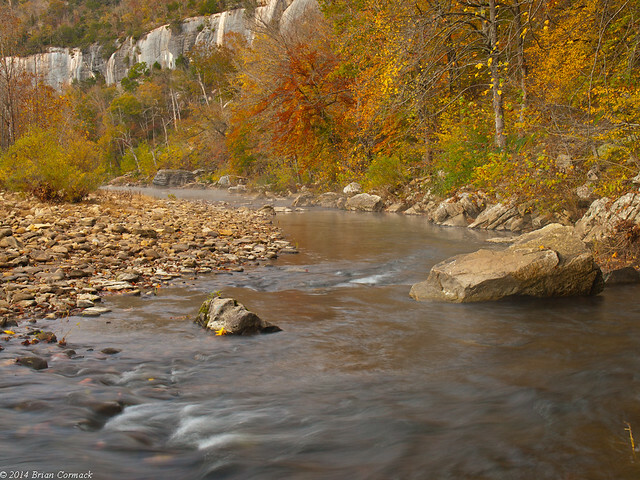 The fall colors weren't the best this year in the Ozarks, but there was still some good color along the river. And on this cold morning, there was a layer of mist hovering over the water. It looked almost like it was flowing down the river like it was caught in the current. 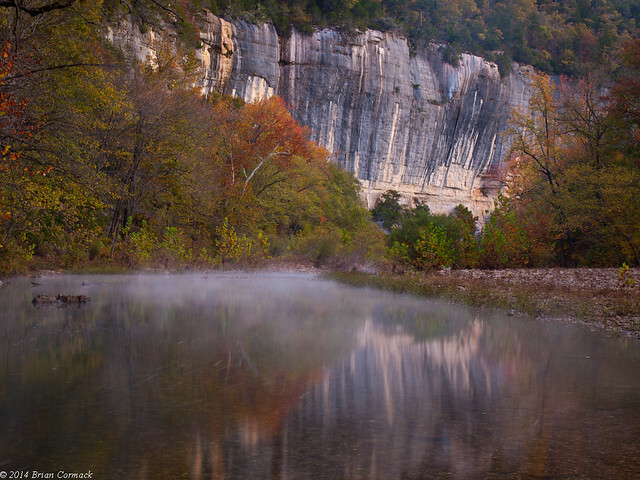 This is my favorite spot along the Buffalo River. It's very close to the spot where my wife and I got engaged. I hurried over to the put-in by Steele Creek to get a few pictures before the sun came up. I walked along the shore to this spot, which I remembered from our Buffalo River canoe trip earlier this year. The rocks in the picture below look quite wholesome and innocent when viewed from the shore. But when you're in a canoe, they are dangerous, treacherous and menacing. We had just started our canoe trip when we rounded the bend and encountered these rocks. By which I mean, we slammed right into them and flipped the canoe. If you look closely on the rocks, there are blue scars from the paint of countless canoes that have been walloped by these rocks. As I was walking back to the car, I saw a few other photographers taking pictures in the trees by the trail. I then looked down at the ground to see what they were trying to take pictures of - frost flowers. 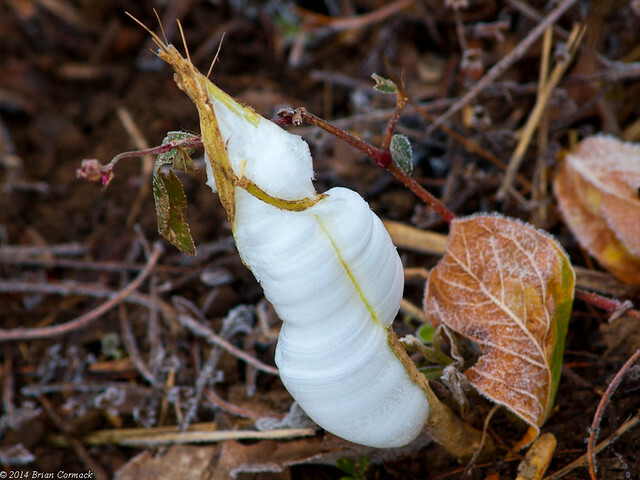 I had never seen a frost flower before, mostly because it's a phenomenon that occurs only a few times of the year. Another big reason I'd never seen one is because they only last for a short time in the early morning hours, the time I prefer to be sound asleep. Frost flowers usually form after the first hard freeze of the year, when the ground temperature is still warm enough for a plant's roots to be working, but the air temperature is cold enough to freeze water. The water in a plant's stem freezes, and then expands. The water is drawn out through thin cracks in the stem, freezing on contact with the air. As more water is drawn out, it freezes and forms more layers of ice. Eventually the ice grows into formations, which can look like flower petals. The frost flowers don't last too long, and quickly melt when the sun comes up. I tried to take some pictures, careful to not step on any of the frost flowers on the ground. 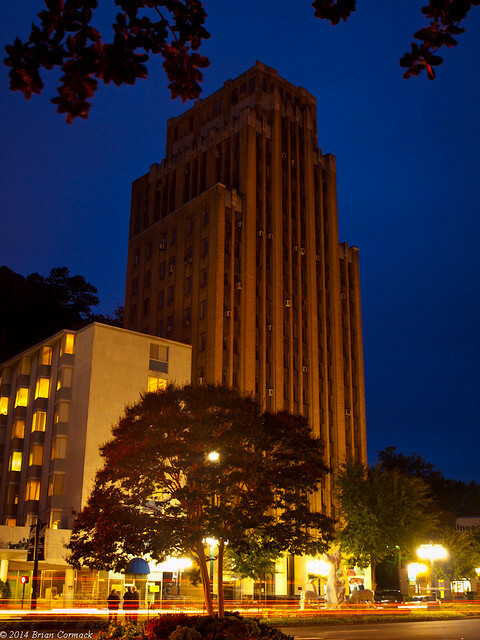 A few days after we got back from our trip to the Smokies, I left work early to run an errand in Hot Springs. It was a rainy and foggy day, which luckily was pretty good conditions for taking pictures. Since I had a few hours off to play, I took the camera with me. It was a bit different going from one of the largest national parks in the east, to the smallest and quirkiest national park in the country. By most park standards, Hot Springs is tiny. Unlike the sprawling and vast national parks in the West, Hot Springs only contains 5,500 acres. It’s also the only national park that has been extensively commercialized. The actual hot springs here have been capped and the water diverted to bathhouses, and there aren’t any herds of wild animals roaming the lands (unless you count the tourists walking down Central Avenue). Hot Springs National Park is one of my favorite places to take pictures. There is a lot of history and unique architecture in the park. Including this old electric mill, which was built in 1921. 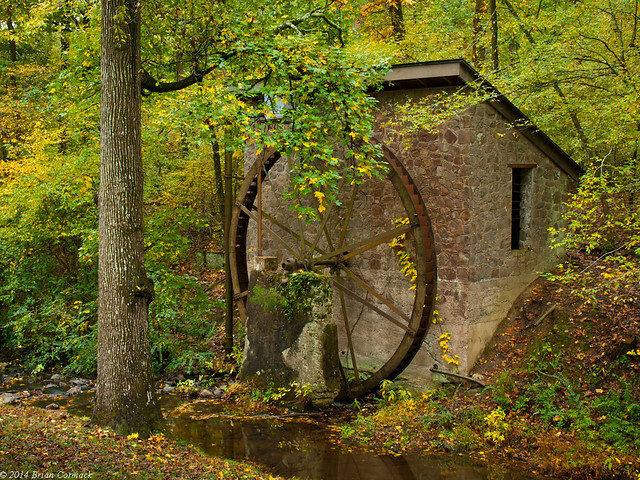 The mill would take water from a nearby lake and use it to turn the huge wheel, generating electricity for a nearby home. I've been wanting to get a shot of this place for a few years, ever since seeing a picture of it online. I've probably driven by it a hundred times without knowing it was there. Next to the bridge is an old stone bridge that crosses the creek above a waterfall. While Hot Springs National Park is nearly surrounded by the city of Hot Springs, there are a lot of places to escape into the woods. Several trails and roads head up across and over the mountains. 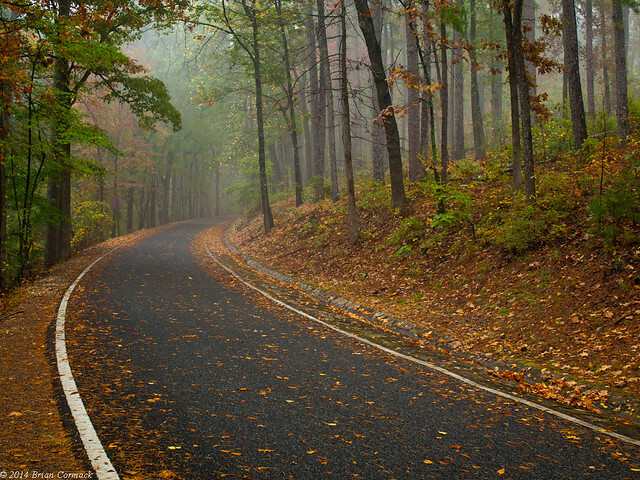 I headed up one of the drives, as fog drifted through the trees at the tops of the hills. Next I ended up walking along Bathhouse Row and Central Avenue. Across from the park, the road is lined with small shops, boutiques, galleries and an occasional wax museum. Most of them seem to be locally owned, which was a big change from the sprawl of Gatlinburg and Pigeon Forge. In fact, I heard later on that Ripley's Believe Or Not wanted to build here (and even take over one of the bathhouses) but was denied. 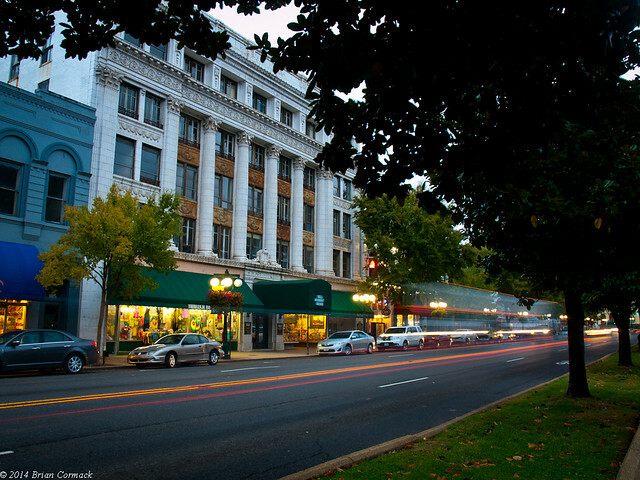 This was taken looking down Central Avenue, and I think the old building was once a hotel. On our last day, we decided to end the trip with a visit to one of the more spectacular areas of the park. 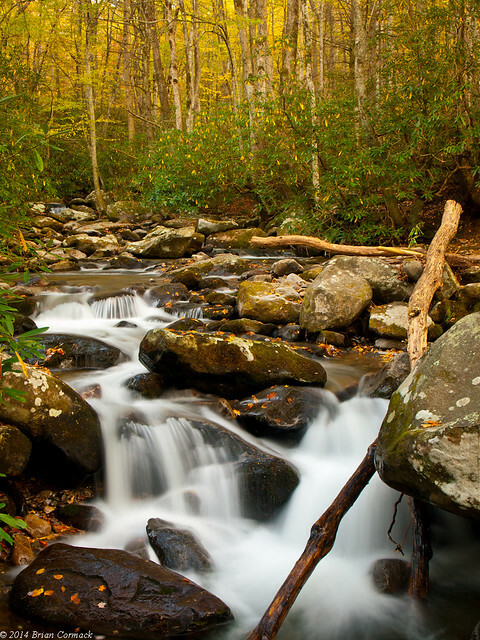 The Roaring Fork Motor Scenic Drive is a short loop (only about 6 miles), but it packs a lot into that short distance. 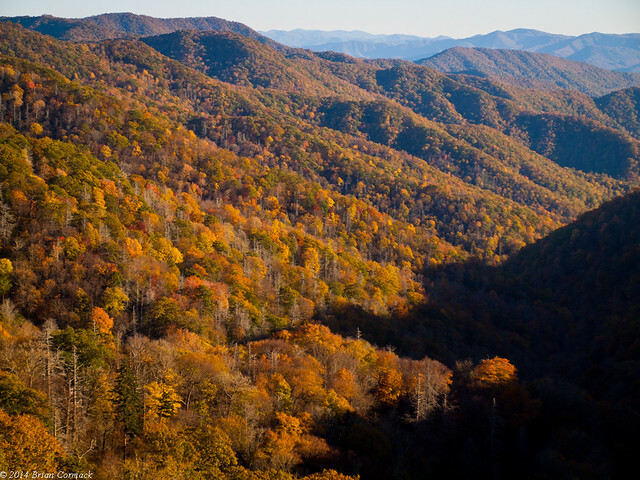 The drive actually starts in Gatlinburg, but it feels miles away from the packed strip of tourist traps and acres of Ripley’s Believe It Or Nots. 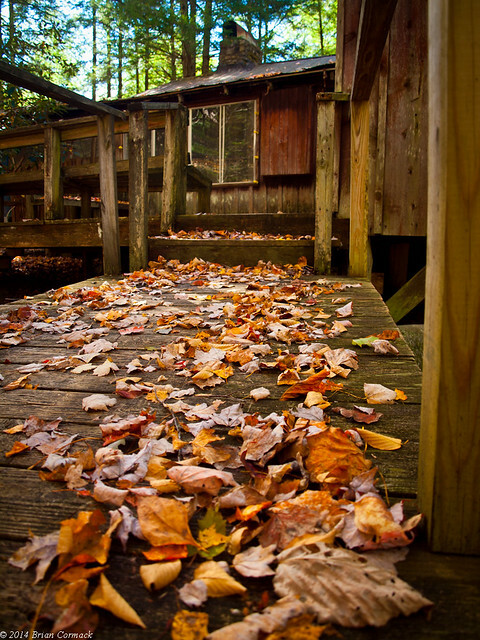 From Gatlinburg, the drive dips right into the middle of a thick and old forest. The road is narrow and one-way, and is too small for busses or RVs. 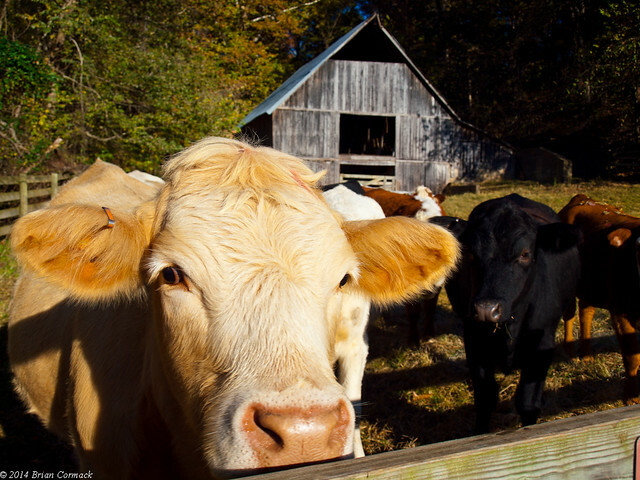 While there was some traffic, it wasn’t as crazy as the gridlocked traffic jams in Cades Cove. People were driving extremely slow in places because this is supposedly one of the better places in the park to spot wildlife, like bears. We didn’t see anything, unfortunately. The only wild animal we encountered on the trip was the raccoon that visited the back porch of our cabin. 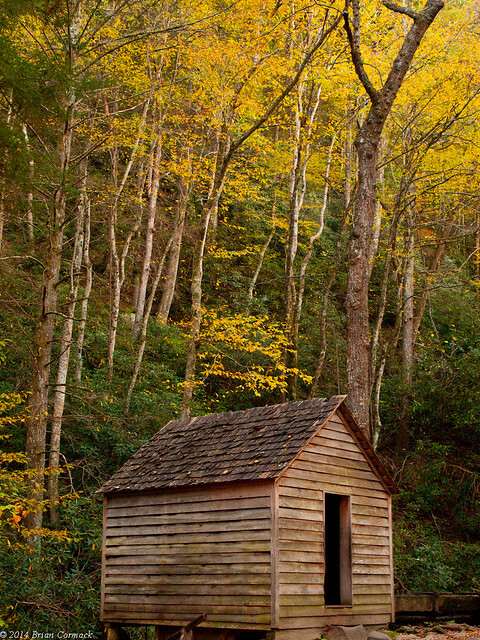 Non-native settlers began exploring the Roaring Fork area in the early 1800s. By the 1850s, there was a big enough population here that a crude road was constructed (which is now the Scenic Drive), and the amenities included a school, church, general store and two mills. The first stop on the Scenic Drive is the Ogle Homestead. 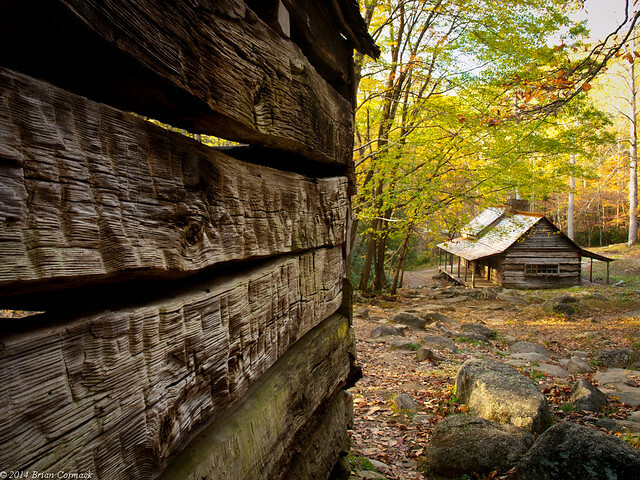 The old cabin and barn were built sometime in the 1880s and 1890s. 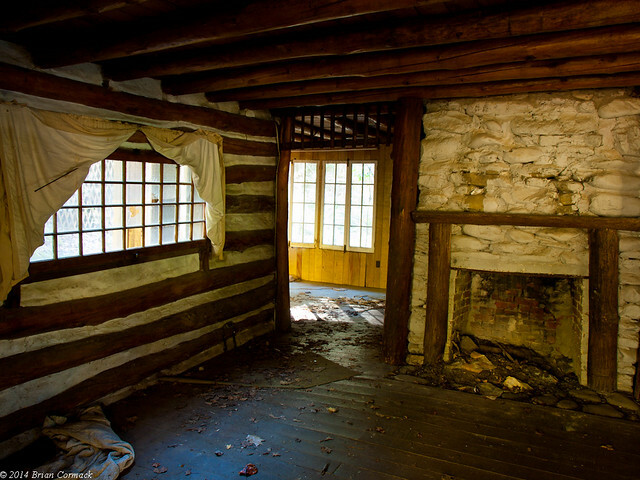 The cabin was built in the “saddleback” style, and is actually two cabins built around a single chimney. We headed to the next stop, the Jim Bales Place. The Bales family moved into this area in the 1830s, and built a homestead here. 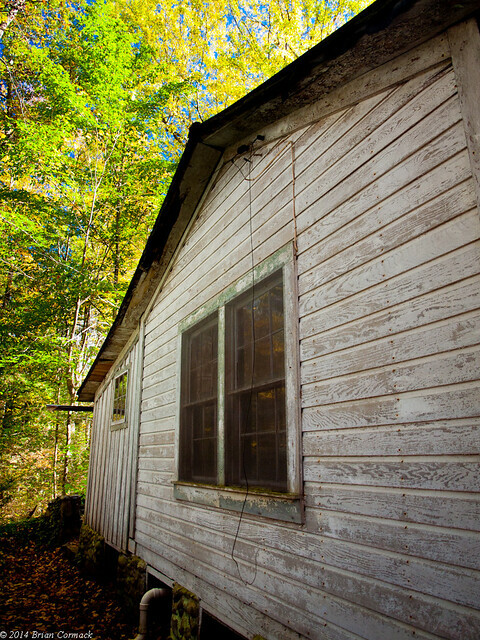 The old cabin is old, but it isn’t original to this spot. 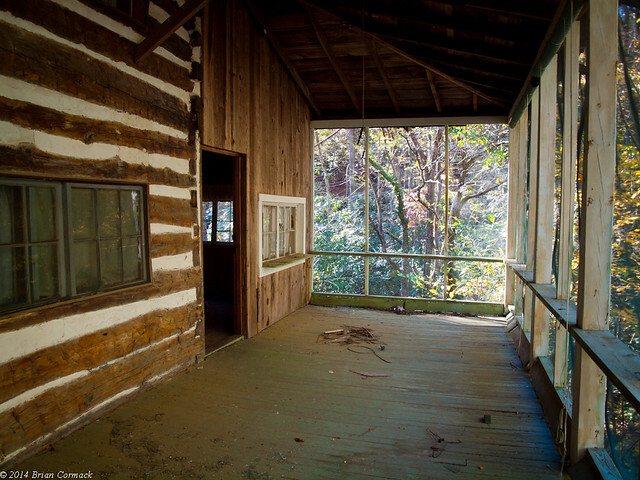 The Bales family apparently built a more modern house here, but the Park Service tore it down and moved in another old cabin that would better represent the olden pioneer days of Appalachia. While waiting for a group taking family pictures to move along, I dropped down to explore Roaring Fork Creek. 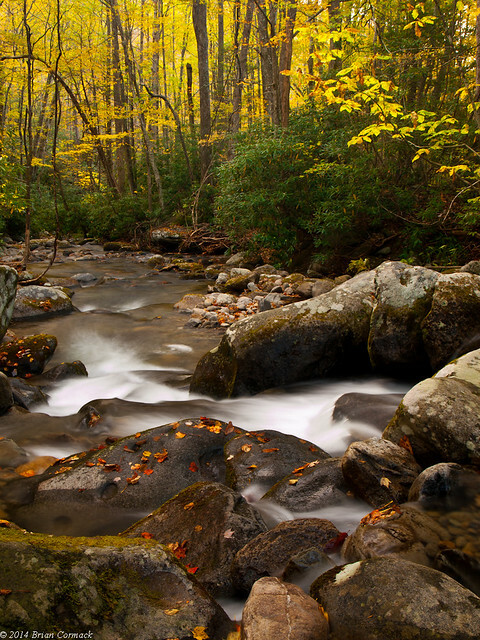 The creek starts along the slopes of Mount Le Conte, at an elevation of nearly 5,000 feet. 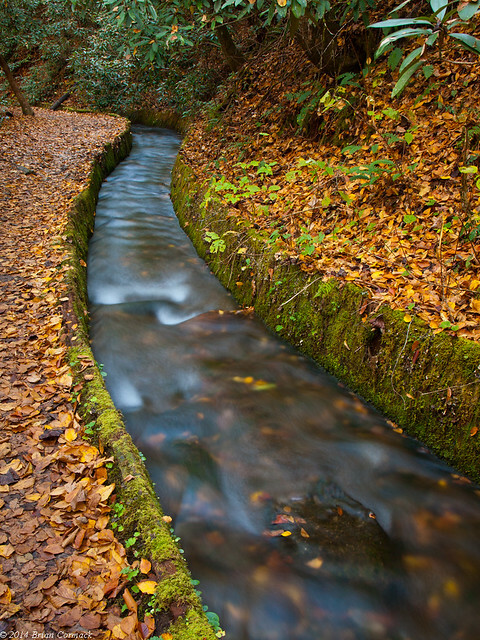 From its beginnings, the creek drops more than 2,500 feet in just a few miles, eventually heading into the narrow valley that is part of the Scenic Drive. 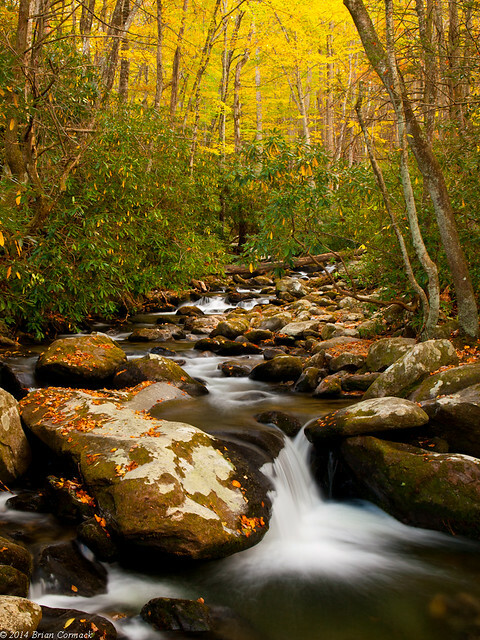 The creek gets its name because it can get quite vicious after heavy rains, and will loudly “roar” off of the surrounding mountain ridges. Just down the road is the farm that also belonged to more members of the Bales family. 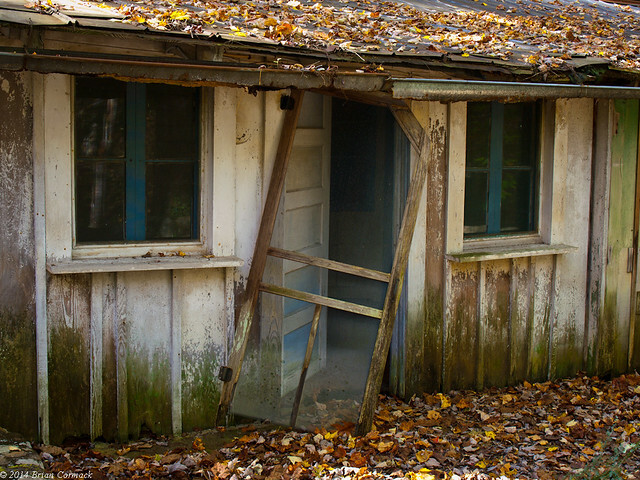 The home here is an old dog-trot cabin that was probably built in the early 1900s. 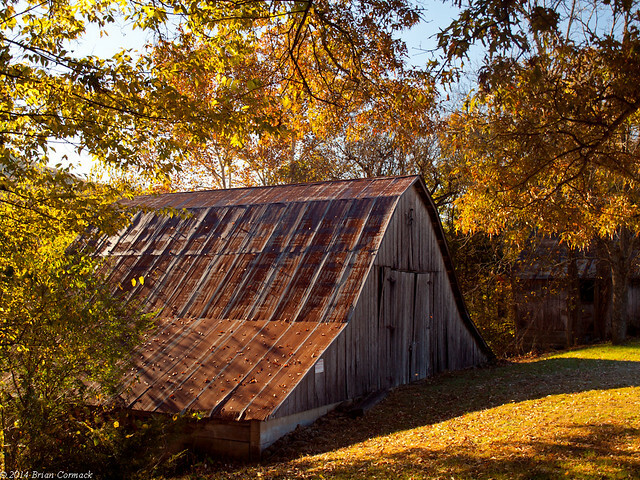 There are also a few other outbuildings that have been preserved here, including a hog pen, corn crib and a barn. This one looked like a little dog house, like an old timey Snoopy would have been sitting on it back in the olden times. The creek was built along the creek, which was making a lot of noise that day. The last stop was the old Reagan Place, which stands out because the old saddleback cabin has painted sawboard panels. 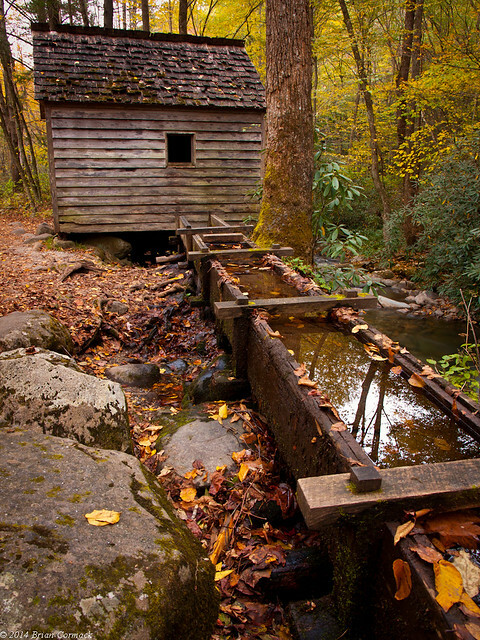 There is also a small grist mill here, with a wooden culvert directing water from the creek. I wish I would have had more time to explore this area, but it was getting dark. I tried to squeeze out as much light as I could, but had to give in when I could barely see through the viewfinder. We ended up spending a lot more time at Elkmont than we had planned, which ate into our time to see another spot before it got dark. 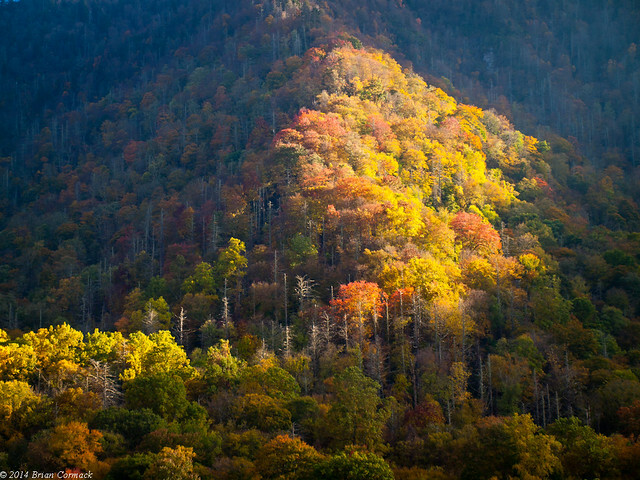 So we drove back into the park, over the Newfound Gap and into North Carolina again. Along the way we stopped at this overlook, where the light from the sun was hitting the sides of one of the mountains. There was an overlook that we saw the day before that I thought might be a good sunset spot. 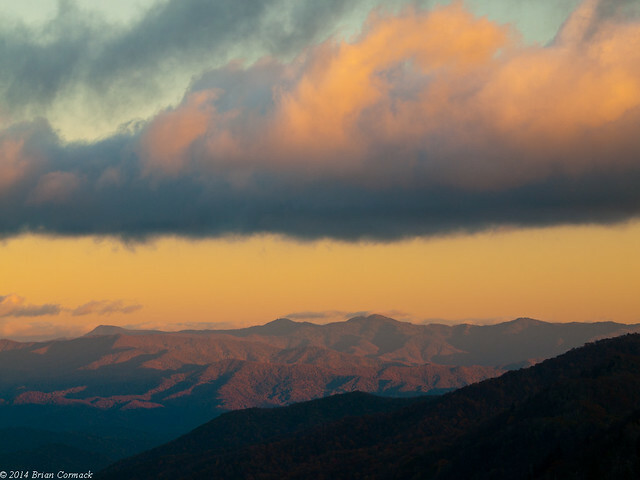 It was up high, near Clingmans Dome. So that meant it was windy and cold, but I hurried out to claim a good spot. I had been to a few places before where it gets crowded with cameras and tripods, so it's wise to stake your claim when you can. But while it was a good overlook, it wasn't apparently the best sunset spot. A few other photographers showed up, but they hurried on to another spot. The ideal sunset spot, apparently, was down the road. Whoops, but it was a nice overlook. I decided to drive to another spot, but the sun had pretty much set. I pulled over and managed to catch this view before it got dark. The next day, we headed back into the park and visited Elkmont. You may have heard of Elkmont, since it was recently the center of a weird little news story that went viral last month. 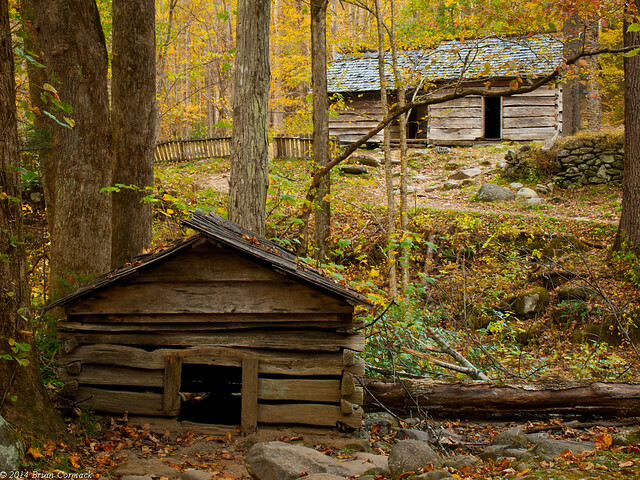 A hiker posted a video on Youtube, where he awkwardly stated that he “discovered an abandoned neighborhood” in the middle of the Great Smoky Mountains National Park. The video got picked up by a hiking website, then by the Huffington Post. Soon news sites were spreading the story of a mysterious town, long abandoned and unknown being found like it was the lost city of Atlantis. Yahoo News poetically stated that the hiker “followed an unmarked gravel road through thick forest up a hill to where a staircase covered in grass leads to the front of the site.” Which makes one imagine Indiana Jones using a machete to clear a path to Elkmont through thick jungle. 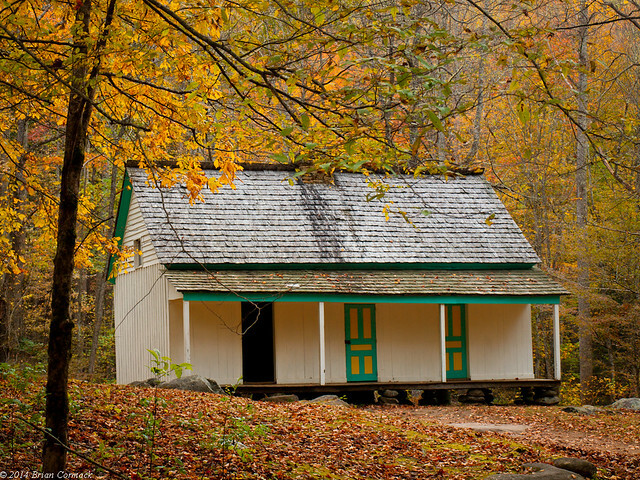 A lucky hiker finding a “town that time forgot,” right smack dab in the country’s most popular national park? How amazing! 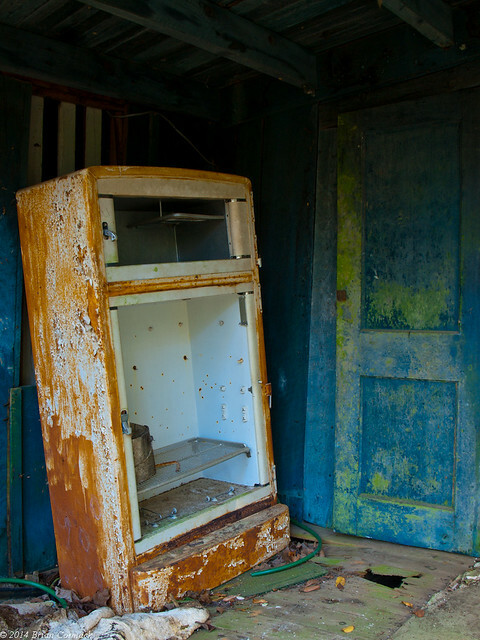 Elkmont is a neat collection of abandoned buildings, but it was hardly forgotten, lost or stashed away in secret. 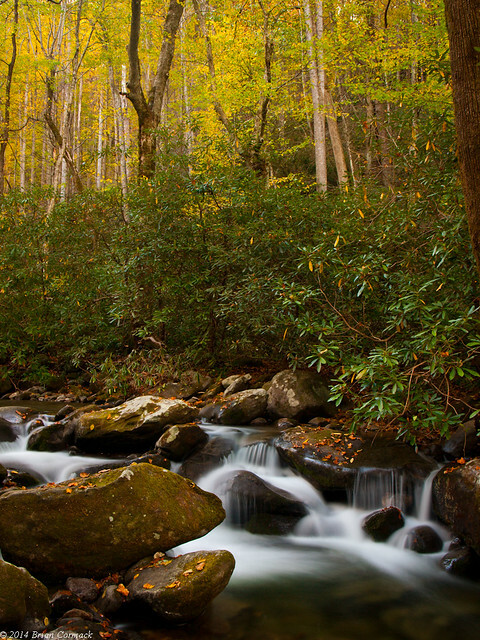 The largest campground in the national park is at Elkmont. 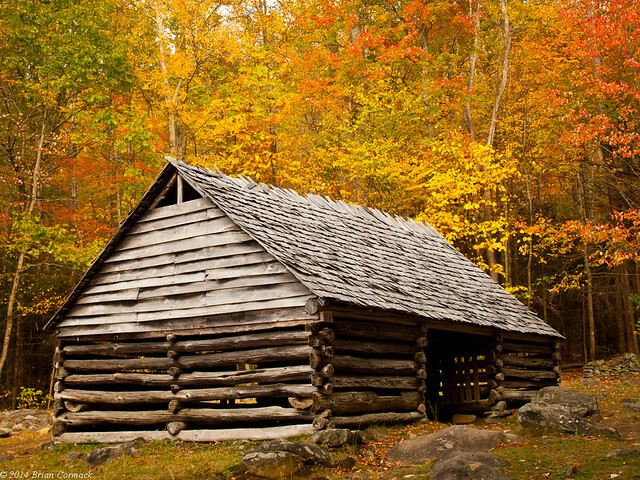 The town is close to the Sugarlands Visitor Center, and along the busy road that leads to Cades Cove. 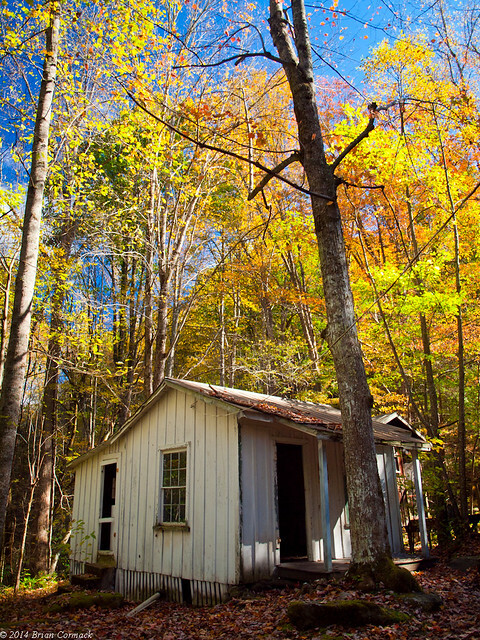 Thousands of people visit the old cabins at Elkmont every year, and you can actually drive right up to them. If the people who mindlessly spread the news story had made a quick Google search, they could have found thousands of pictures of Elkmont. We parked and went to have a look at the buildings. Elkmont got its start in 1908 by the Little River Lumber Company, who established a base there. 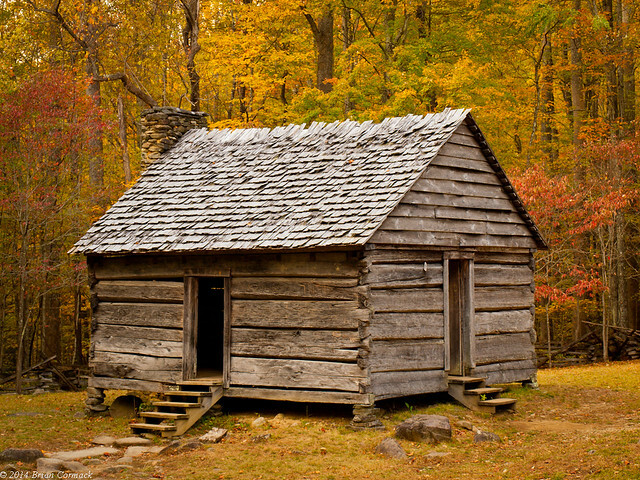 A few years later, they began selling plots of land to hunters and fisherman from Knoxville. 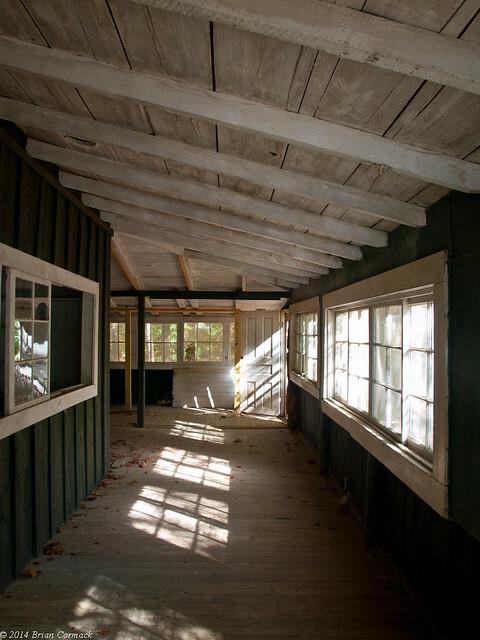 The Appalachian Club and the Wonderland Park Hotel would soon open, attracting more visitors. 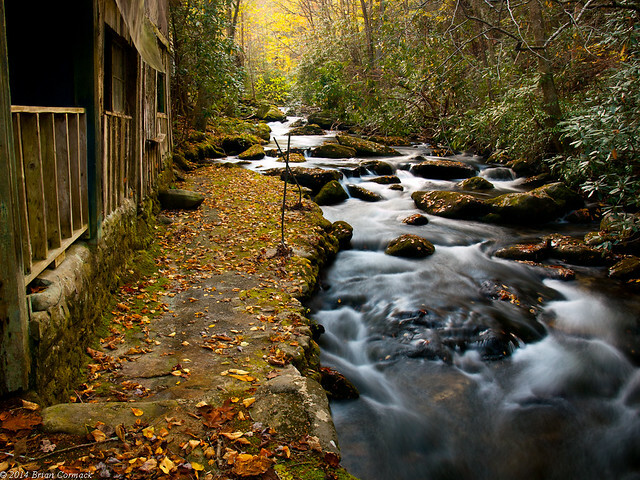 By the 1920's, Elkmont was the top vacation spot for Knoxville’s rich and famous. 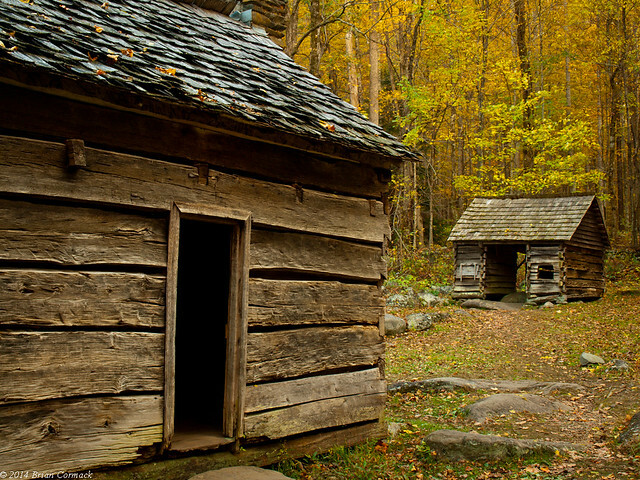 Several large cabins and cottages were constructed, many of which are still standing today. 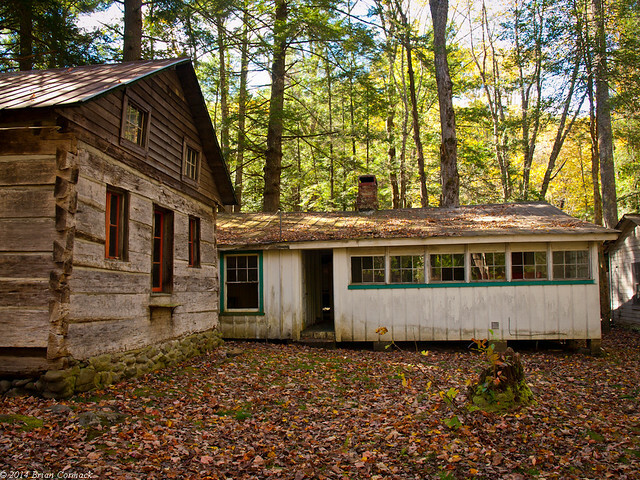 When the National Park was created in 1933, the cottage owners were granted lifetime leases. Those leases were coverted into twenty years leases, but the National Park Service refused to renew them in 1992. The park wanted to tear down all of the old buildings, and let the land return to nature. In 1994, the Wonderland Hotel and several of the cottages were placed on the National Register of Historic Places. This resulted in a debate about the fate of the Elkmont buildings. 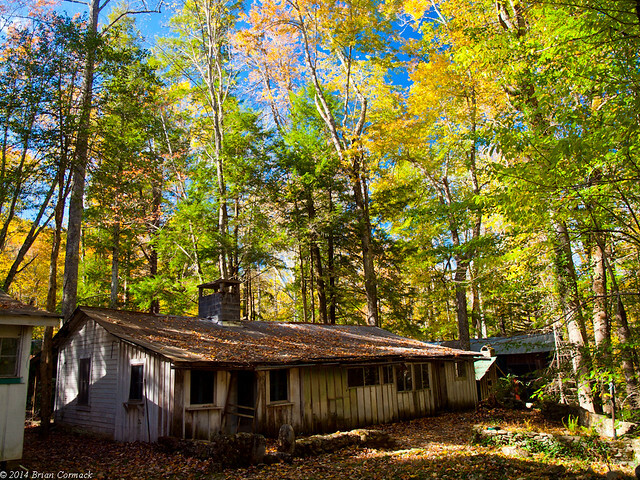 Save them for their historic value or remove them and give the land back to the forest? In 2005, the Wonderland Hotel collapsed. But the National Park Service decided to go ahead and preserve the Appalacian Club and 18 of the most notable and historic buildings. The rest will be removed, unless gravity and the weather don’t complete the job first. 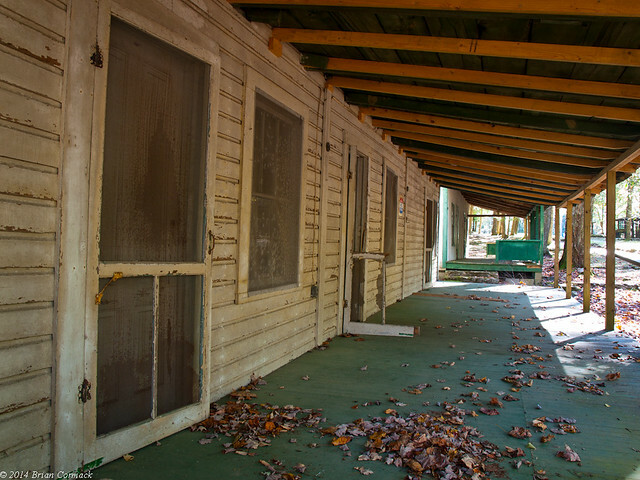 It is a little creepy at some of the buildings, this probably wasn’t the best place to visit right before Halloween. Some buildings would still be in decent shape, while others were trashed out. Foundations had sunk in a few buildings, dropping the floor a few feet. 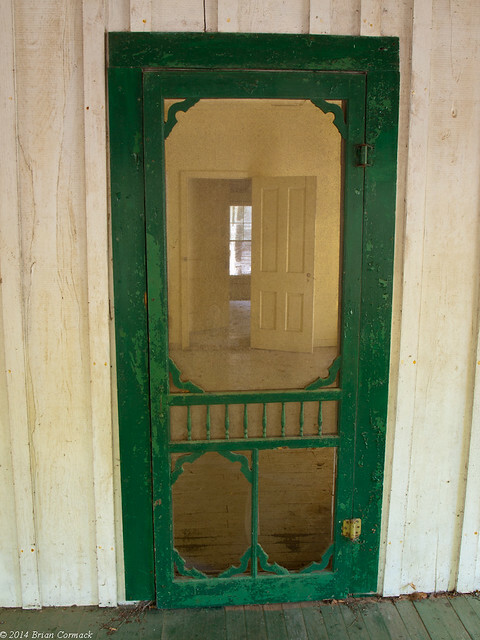 Doors had rotten off their hinges, and daylight streamed through holes in the walls and ceilings. 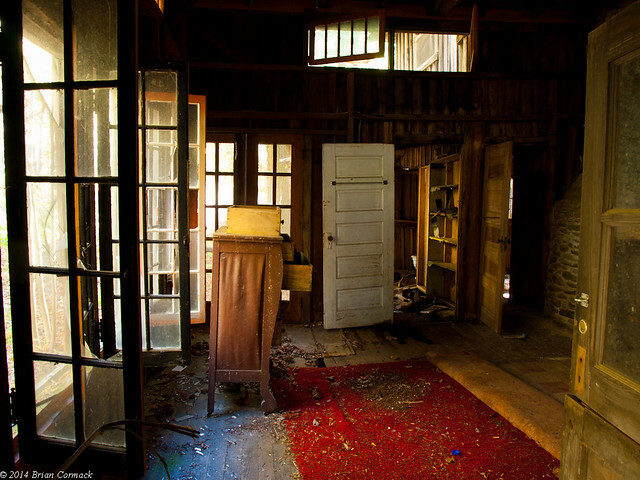 All of it with the little hint of sadness that haunts old abandoned places like this. Several old buildings sit along Jakes Creek, which must have been prime real estate when these were built. Some of them have already collapsed, others were closed off with tape. It reminded me a lot of the old ghost towns along Route 66. Once grand relics of another era, that are being slowly worn down by time. We spent a few hours here, and still didn't see all of the buildings there. Guess we'll have to go back and "discover" them next time! 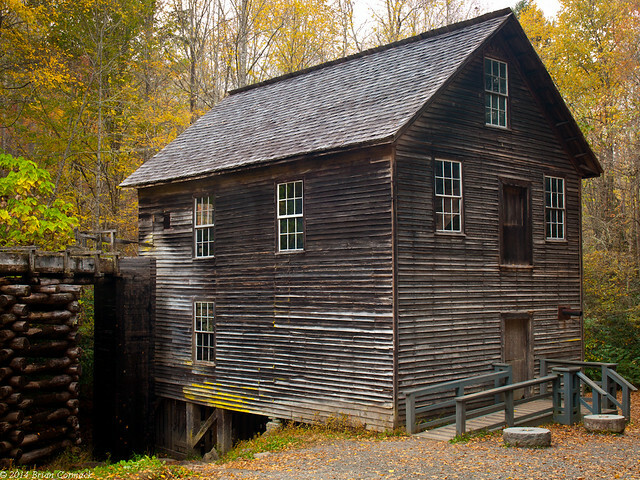 Our next stop was Mingus Mill, which sits in the Oconaluftee Valley in the North Carolina portion of the national park. 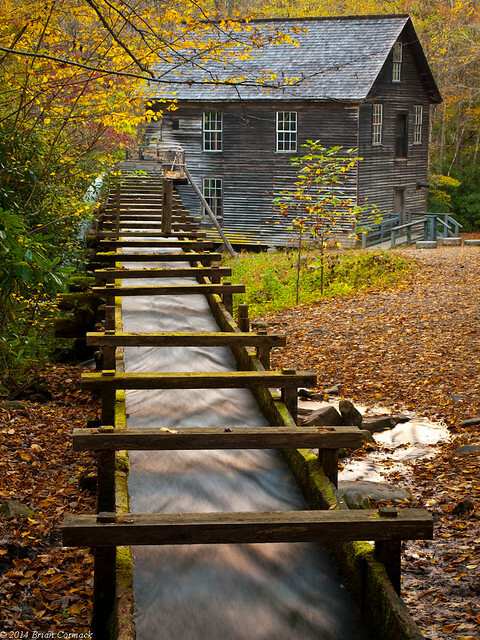 The mill was at the top of my list of places to visit in the Smokies, and I was eager to see it in person. Mingus Mill is an old mill, built over three months in 1886. It only cost $600 to build, and operated until the National Park took it over in 1934. It was restored in 1937, but closed during World War II. The mill reopened in 1968, and you can still go inside to see how it works and buy grain and corn and whatnot. 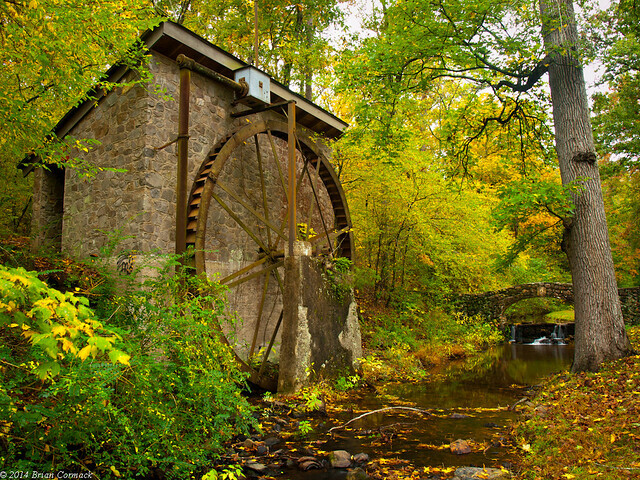 What makes the mill unique is that it uses a turbine, and not a water wheel. Water from the creek is diverted, and then travels along a moss-coated canal. 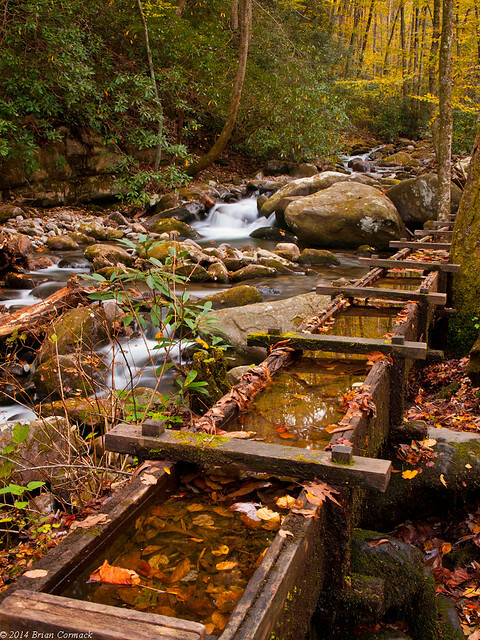 The water is then channeled into a 200 foot long wooden flume that carries it to the mill like an aqueduct. Closer to the mill, excess water pours off in a waterfall. It’s a really neat spot, and we spent a long time there taking pictures.